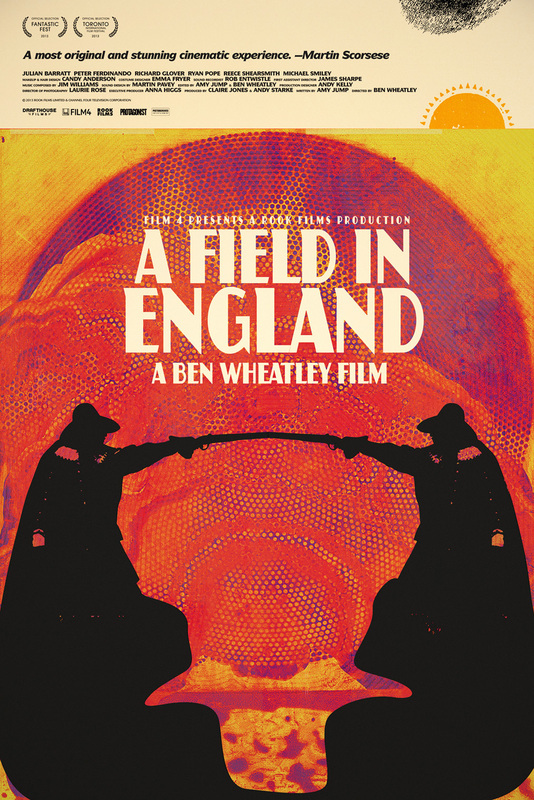 Practically the moment Ben Wheatley's psychedelic period movie, "A Field In England" hit the British circuit last year, it was proclaimed a "future cult classic," and Wheatley the next Sam Raimi. Beyond its novel take on an English Civil War drama -- in this one, a gang of murderous war-dodgers lose their minds to drugs on a small patch of battlefield -- critics were taken with the film's visuals. Wheatley and cinematographer Laurie Rose chose to shoot in black and white, a decision that somehow doesn't cramp the plot's trippy twists and turns. A FIELD IN ENGLAND [Trailer] In Theaters & On VOD February 7th from Drafthouse Films on Vimeo. U.S. audiences will experience an update on that aesthetic come February 7, when "A Field" starts its run in select theaters nationwide. While the film's palette remains muted, the posters promoting it are anything but. 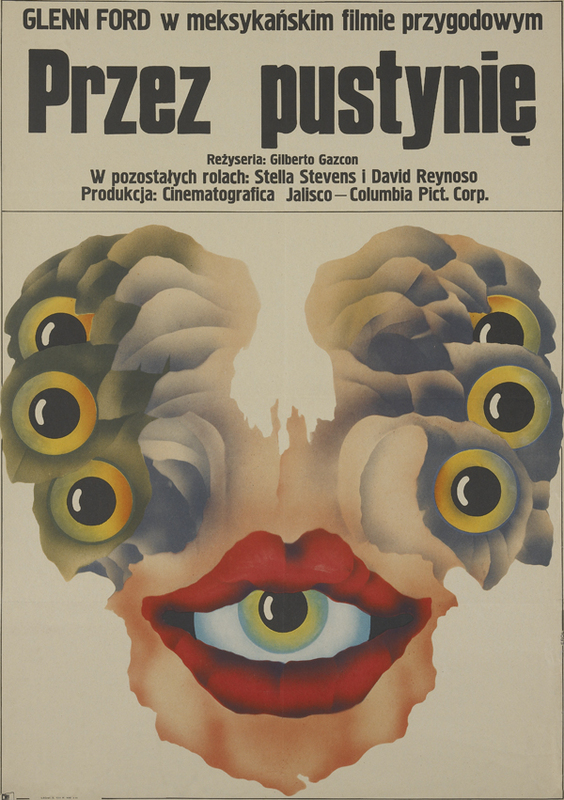 Lurid and overheated, they recall one of the greatest accidental canons in film history: Polish posters of the mid- to late 20th century, when the country's communist government forbade American-made imagery. The resemblance is no accident. 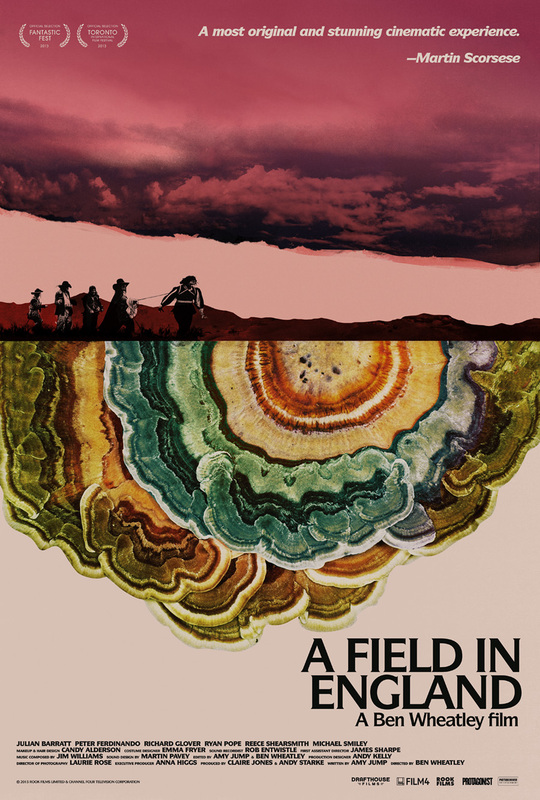 In a statement to The Huffington Post, designer Jay Shaw explained how he conceived of the posters for "A Field." Perusing through a "visual guidebook" compiled for him by Drafthouse Films, the movie's American distributors, Shaw found himself struck by an arresting Polish poster. The movie it advertised wasn't Polish, or even European -- rather, it's the 1966 Mexican border drama, "Rage." Yet another Mexican-American-Polish intersection provided further inspiration. This poster, designed for Polish audiences, promoted Alejandro Jodorowsky's 1973 cult film, "La Montaña Sagrada," or "The Holy Mountain." The curve of the rainbow in the "Holy Mountain" imagery returns in one of the posters Shaw designed for "A Field," pictured below. Now it's an inverted arc built of cross-sections of mushrooms, a reference to the hallucinogenic fungi chomped by the main characters in the film. Shaw sees a through-line connecting his work to Wheatley's. "The film is gorgeously shot in black and white but the story is so colorful it just made sense to allow the posters to match," he explained. As a result, a Polish look will guide a highly British production into America. Communism, meet globalism.